Northwestern University Feinberg School of Medicine has four Medical Student Societies. Each Society is named in honor of a notable alumnus and creates a learning community that encompasses a subset of the Feinberg student body at different levels of training, dedicated faculty mentors, and alumni. The Societies are an extension of the Feinberg Colleges, created in conjunction with a major curriculum redesign in 1993. Each medical school class is divided into four Colleges, providing each student with a familiar social and academic community that lasts throughout medical school. Each College has a dedicated College Mentor, an experienced clinician who teaches and advises the College throughout the four years of the MD curriculum. The Societies at the Feinberg School of Medicine link the Colleges across the four years of medical school. Each Society incorporates one College from each medical school class year, connecting students into a network of faculty and other students with varying interests and levels of experience. 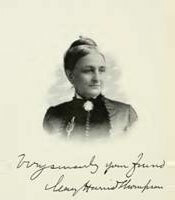 Mary Harris Thompson (1829-1895; MD 1870) was Northwestern's first female medical graduate and by some accounts the first female surgeon in the US. She first graduated from the New England Female Medical College of Boston in 1863, and worked at Bellevue Hospital in New York as a protégé of Elizabeth Blackwell, the first female MD in the country. She moved to Chicago in 1869 and continued her medical education as one of three women in our first class to accept women, graduating "ad eundum" in 1870. She was the founder of the Women's Medical College (the first medical school for women in the Midwest, later incorporated into Northwestern), Chicago's first nursing school and the Chicago Hospital for Women and Children, later renamed Mary Thompson Hospital after her death. Howard Taylor Ricketts (1871-1910; MD 1897) was a pioneering pathologist, infectious disease scientist and medical martyr who died in the course of his research in infectious disease. Originally from Findlay, Ohio, he graduated from the medical school in 1897 and then pursued a fellowship in pathology and cutaneous diseases at Rush, studying blastomycosis. He joined the faculty of the University of Chicago in 1902, and by 1908 had won worldwide acclaim by his identification of the causative organism of Rocky Mountain Spotted Fever. In 1909, while in Mexico City investigating an epidemic of typhus, he succumbed to the disease himself. 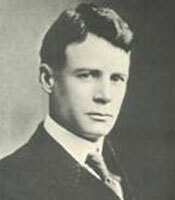 The class of bacteria responsible for both Rocky Mountain Spotted Fever and typhus was subsequently named the Rickettsia in his honor. Theodore Kenneth Lawless (1892-1971; MD 1919) was a noted dermatologist, businessman and philanthropist. Born in Louisiana, he graduated from the medical school in 1919, completed a dermatology and syphilology fellowship at the Massachusetts General Hospital in Boston, and further study at the University of Paris. He returned to Chicago in 1924, began a practice on the South Side, and was appointed to the faculty at Northwestern, where he taught dermatology for 17 years and studied treatments for leprosy, syphilis, and skin cancer, becoming one of the first physicians to use radium therapeutically. 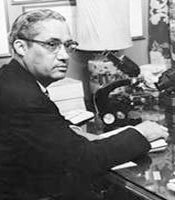 He developed an international reputation as a clinician, and was widely acknowledged as the leader of Chicago's African-American medical community in the mid-Twentieth Century. Lawless was also a highly successful businessman, a founder and president of Service Federal Savings and Loan Association in Chicago. He supported a number of organizations in later life including Provident Hospital, a variety of medical institutions in Israel, and Dillard University. Upon his death he left large tracts of land in Southwest Michigan, now a popular nature preserve and biking area. In 1954 he was awarded the Spingarn Medal, the highest award of the NAACP, among whose other recipients are such notables as Dr. Martin Luther King Jr., W.E.B Dubois, Thurgood Marshall, and others. The only other medical figures honored with the Spingarn Award have been Charles R. Drew and Percy Julian. John A. D. Cooper (1909-2002; PhD 1943, MD 1951) was among the most prominent medical educators of the Twentieth Century. 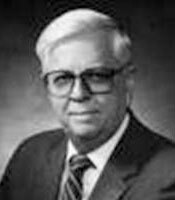 Originally from El Paso, Texas, he received a PhD in biochemistry from Northwestern in 1943, and later (1951) the MD as well. Later in the 1950s, while teaching biochemistry in medical schools in South America, he became involved in medical education as an organizer of the Pan American Federation of Associations of Medical Schools (PAFAMS). He returned to Northwestern as Dean of Sciences in 1959, and in this role created the first combined baccalaureate/MD program in the country, the Honors Program in Medical Education, as well as securing one of the first three NIH grants for combined MD/PhD training (Medical Scientist Training Program). In 1969 he became the first full-time president of the Association of American Medical Colleges. In his 17 years of service in that position, the Association grew from a loosely organized consortium of medical schools to become the major resource and advocacy organization for academic medical centers that is the AAMC today. In 1981, Cooper was named by U.S. News and World Report as one of the five most influential people in medical and health education.